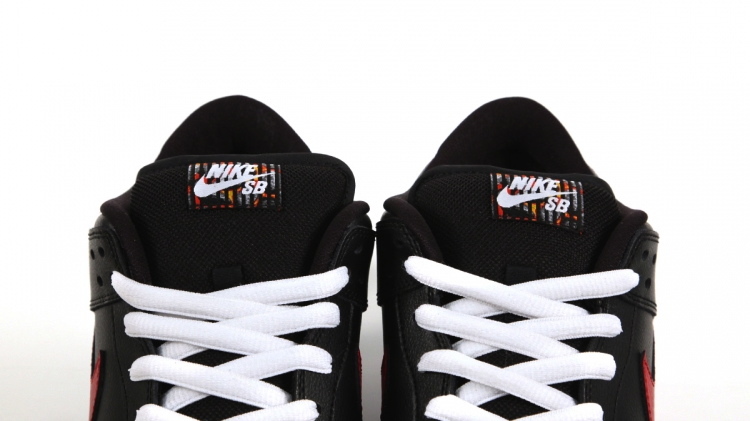 Nike SB Dunk Low QS - "Shrimp"
The Nike SB Dunk Low QS "Shrimp," previewed in January, is now hitting shelves at select Nike SB stockists. Fans of seafood and Pimp C rejoice. 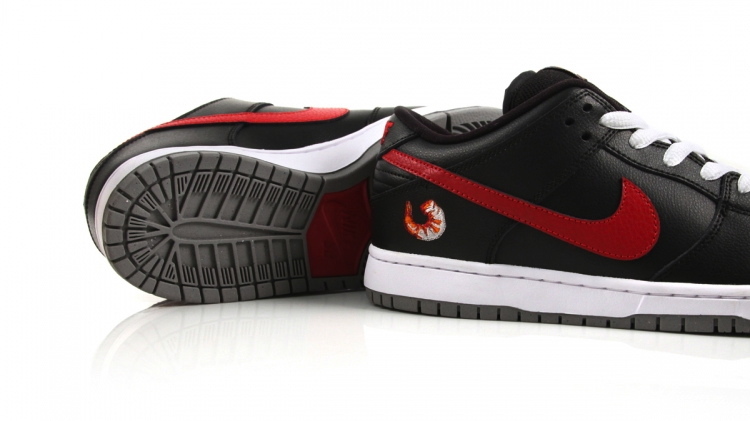 The Nike SB Dunk Low QS "Shrimp," previewed a few weeks ago, is now hitting shelves at select Nike SB stockists. 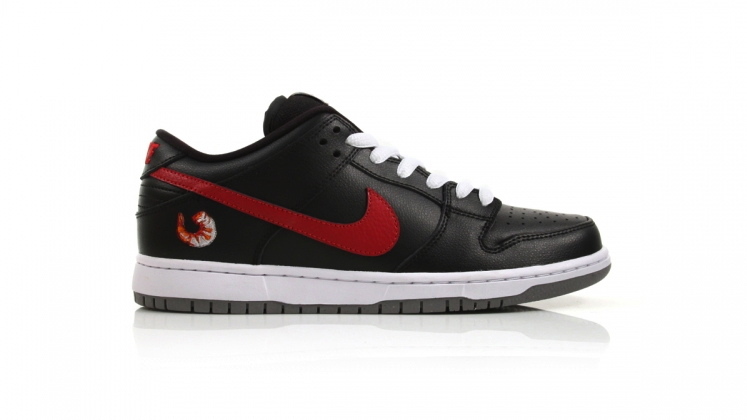 The black and red sneaker is highlighted by the embroidered shrimp hit at the heel, along with a barbecue graphic on the tongue tag. Alternate pink laces add to the shrimp theme. 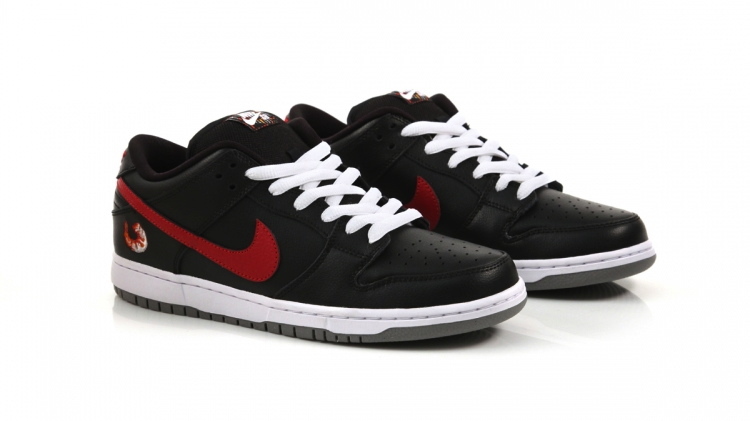 The Nike SB Dunk Low QS "Shrimp" is available now at DQM for $98.